A Salina man’s journey to jail on Monday began with climbing a pipe into Wal-Mart’s ceiling – and ended with a K9 officer sniffing him out after he allegedly stole a work truck at a house fire. Police Captain Paul Forrester tells KSAL News that 37-year-old James Nestler was taken into custody late Monday night after a day spent in the company of law enforcement officers. Around 4pm, police were sent to Wal-Mart, 2900 S. 9th to the report of a man who had climbed into the suspended ceiling of a storage room. Officers issued a Notice to Appear citation to Nestler for the $700 damage he caused and released him. About four hours later, staff at Salina Regional Health Center, 400 S. Santa Fe contacted authourites after a man had slipped into the ER’s family waiting room and would not leave. Nestler was cited for tresspassing at the hospital and transported to the Saline County Jail. After bonding out of jail, Nestler walked outside the facility and found a Kansas Gas work truck, unlocked and running across the street. The driver had parked in the 400 block of W. Elm to turn the utilities off in response to an active house fire on N. 11th. 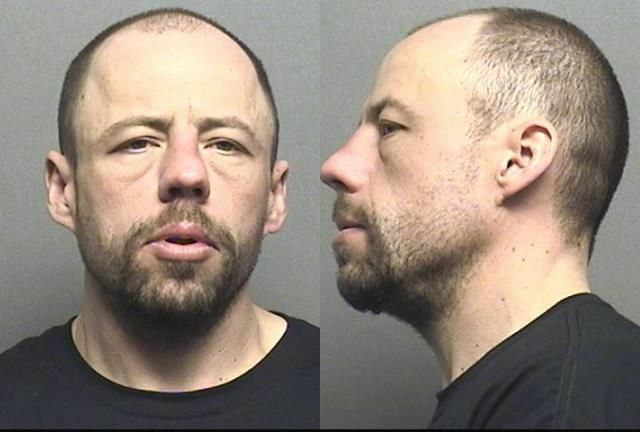 Nestler allegedly jumped in and drove away, ditching the truck and tools which are valued at $40,000 in the yard at Salina Tree Service at 2681 W. State Street. Officers tracked Nestler through the gas truck’s GPS device and then used a K9 unit to find him hiding nearby at Heath’s Auto Salvage at 2600 W. Old Highway 40. He’s now facing multiple charges that could include, burglary theft and trespassing.